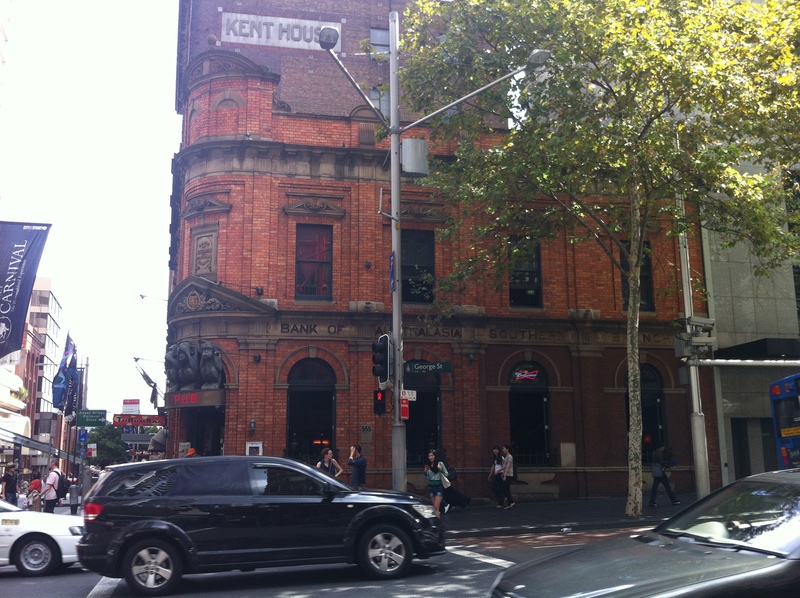 The Bank of Australasia first moved into this address in 1879, establishing their ‘Southern Sydney’ branch in a rented building. The current building was erected in 1886, but remained under the ownership of the Estate of a James Powell until 1902, when the BOA suddenly remembered it was a bank and could take any property it wanted. It bought out the site, which remained a bank until 1998. 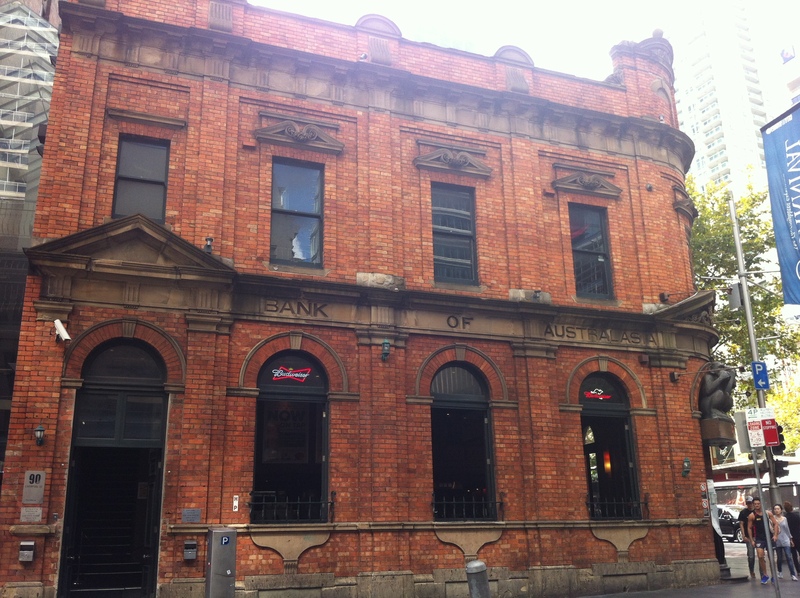 The Bank of Australasia became a part of the ANZ in 1951, and rebranded this site as an ANZ bank in 1970. Although the interiors have been refurbished, the exterior of the building is in remarkably good condition considering what the site is now – the 3 Wise Monkeys pub. Established in 2000, the 3 Wise Monkeys has a reputation as a live music venue and as a place where wisdom is not on tap. Of all the places in Sydney to not want to be seeing, hearing or speaking evil, George Street is probably at the top of the list.